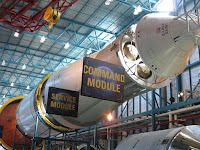 The Travelling Lindfields: Why we will never visit Kennedy Space Center, Cape Canaveral, again! 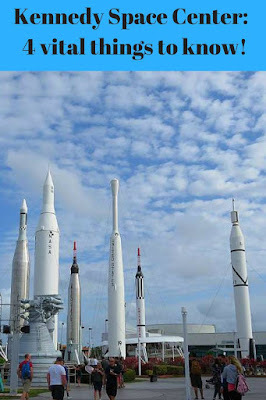 Why we will never visit Kennedy Space Center, Cape Canaveral, again! Do you enjoy paying a lot of money to stand in line all day? 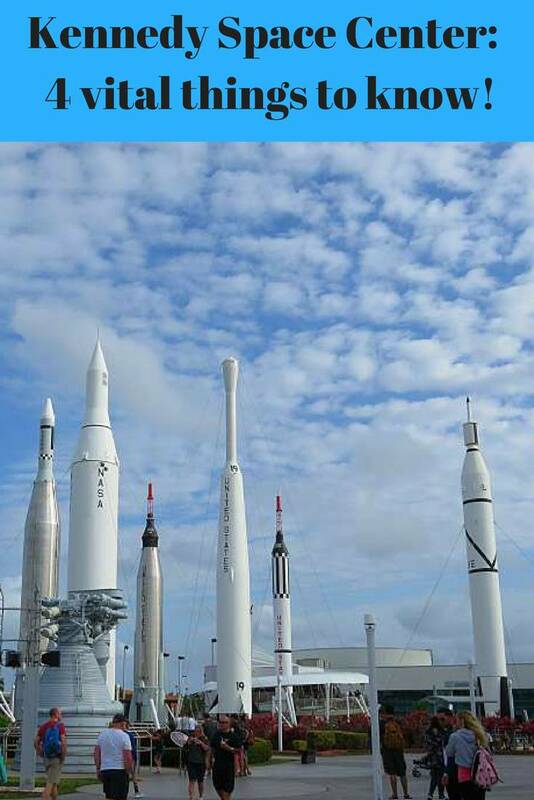 If your answer is yes, then Kennedy Space Center is for you. If your answer is no, then don't even think about visiting. Today David and I made the mistake of visiting Kennedy Space Center, at Cape Canaveral in Florida. We first went there 20 years ago and loved it. They had a real Saturn V rocket left over from the Apollo moon landing program. 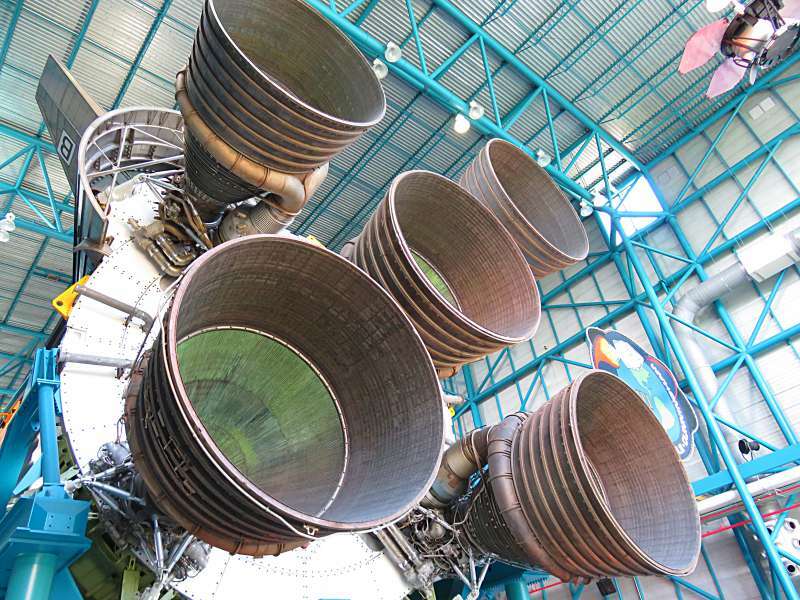 The Saturn V remains the largest and most powerful rocket ever built. Seeing it 20 years ago was nothing short of awesome. Seeing the same rocket today was a big mistake. I have blogged before about why you shouldn't go back to places and, sitting in the living room of our hotel room now writing this, I can't for the life of me figure out why we didn't take our own advice. Far from reliving a great memory, we spent a day of frustration and disappointment, AND we had the privilege of paying a lot of money for it. Buy your tickets online before you arrive. It costs exactly the same as buying them at the ticket window but you get to skip the line. If you haven't purchased your tickets on line try one of the self-service machines opposite the ticket windows. The self-service lines didn't look like they were moving much faster than ours but you never know. Of course there is the added complication that if you are anything like us you will ALWAYS pick the slow queue. At least the ticket windows had only one line. Why did we choose the ticket window? We wanted to buy Launch Control Center Tour add-ons and we weren't sure they ran on Mondays. David thought he saw something on the website suggesting they only ran from Thursday to Sunday. It turned out the tours do run on Mondays but they were all full. We should have booked them online when we first decided to go to the Space Center months ago. It didn't seem a big thing at the time but this turned out to be a major mistake. With our entrance tickets in hand we progressed to the next line - the one where you go through a metal detector (at least I think that is what it was) and get your bag searched. To be fair this only took a few minutes but we were beginning to see a pattern. Saturn V Rocket model showing what it was like on the inside. Once inside we got to relax and enjoy the moment for a few brief minutes during a guided tour of the rocket garden. We actually had a good time for a while. The thing we wanted to do most however was see the Saturn V rocket. We had done our research and knew we had to join a bus tour (included in our general admission ticket) to get to the Saturn V area, so as soon as the rocket garden talk was over we headed straight to the bus tour departure point. It was still before midday and the Kennedy Space Center doesn't close until 7 pm but - hey - why take the chance. This was something we did not want to miss out on. Have you ever been to Disneyland - or Universal Studios? Have you seen the queueing systems they have - where you wind around and around, up and down, as if in some devil's nightmare of a conga line. Dante's seven levels of hell have nothing on these lines. One look at the bus tour line and the sign which said '75 minute wait from here' and we decided neither our stomachs nor our bladders were up to the challenge - better to get a bite to eat and wait for the line to die down a bit. I know, I know - I haven't finished telling you about mistake No. 2 yet nor how to remedy it but mistake No.3 was a mistake within a mistake and I am trying to bring some calm and order to what was a pretty awful ordeal. If you cast your mind back for a moment, we had decided to grab some lunch before trying the bus tour line again. The first food outlet we saw only sold hot dogs. David can't bear the sight of a hot dog, let alone the idea of eating one, so that was never going to fly. The second food outlet had a line which looked only slightly shorter than the bus tour line we had just abandoned. The third outlet didn't look too bad - how wrong can you be! Instead of actual people taking the orders they had computer terminals. There can only be a few people left on the planet unable to manage a computerised ordering system - it has pictures after all - you barely need to be able to read. Yet every single one of those people were in the line in front of us. David estimates it took him 60 seconds to place our order, everyone else took between five and ten minutes. Lunch turned into a 50 minute ordeal - 45 minutes queueing and 5 minutes eating. The food was awful of course, and over-priced, but we expected that. Just to add a bit of extra fun to the equation I had to abandon David in the line about half way through and find somewhere to sit down. I have a heart condition which is aggravated by stress. Sitting down doesn't really help - it is only marginally better than standing - but at least if I pass out I don't fall so far. Lying down makes a huge difference. It is however embarrassing so I try to avoid lying down in public unless I am literally about to have a stroke. One day my gravestone will be able to say truthfully 'she died of embarrassment'. Anyway the one advantage of the appallingly designed ordering system was that there were plenty of vacant tables to sit at. How to remedy mistake No. 3. Bring your own lunch - honestly it isn't worth the aggravation not to. Also as it turned out, there is a cafe in the building housing the Saturn V rocket. We could have had lunch there. Don't abandoned the bus tour queue. It will only get longer. Having spent what felt like the entire morning lining up for admission tickets and lunch we rejoined the bus tour line. It was longer - a lot longer. By now it was 1 pm. The last bus tour leaves at 4.30 pm and we were beginning to wonder if we would make it. Kind of scary don't you think! The sign still said we had a '75 minute wait' - surely it couldn't be that long. It was! 76 minutes to be exact. Just so you understand - this wasn't 76 minutes of fun, or hanging around having a good time or being entertained or communing with nature or anything like that. This was 76 minutes (one hour and a quarter and a bit) of standing up in the hot sun (with interludes of shade) shuffling forward occasionally, trying not to get kicked by the three very annoying people in front of us who used this spare space in their lives to have a 76 minute family boxing match. Have I mentioned I have a heart condition? Is it possible to die by queueing? How to remedy mistake No. 2. While we were spending our very annoying 76 minutes lining up for the bus tour we watched small, privileged groups of people sail past us in the express lane straight to their buses - no lining up for them. They had purchased 'add-on enhancements' to their general admission tickets. BUY ONE! It doesn't matter much which because the main thing you get is to SKIP the 76 minute queue. Trust me - it will be worth every cent of the extra USD 25 or so each. Oh, and buy it online as long as you can before you arrive so that you don't get to the ticket window to be told it has sold out and not have any idea how important that extra tour will prove. Sit on the right side of the bus. Finally, after our 76 minute excruciating and life threatening wait (have I mentioned I have a heart condition) we boarded the bus and sat on the left hand side (looking forward). I have no idea why. Fortunately I overheard two separate groups of people say the right hand side was the best - and we swapped. That small decision was the only break we got all day. From the right hand side we saw half a dozen alligators in the canals next to the road and all the buildings which the driver pointed out. Don't stress too much though because after 76 minutes queueing the bus tour only took about ten minutes. It was really nothing more than a way to get to the Saturn V rocket. How can NASA send human beings into space with all the sophisticated logistics that requires and yet be unable to devise a system capable of sending people on a ten minute bus ride without a 76 minute queue. The Saturn V rocket was great. It took us all day and almost USD 100 (more if you add in the cost of parking) but it was great. Would I do it again - ABSOLUTELY NOT - NEVER - NADA - NOT ON YOUR LIFE! Am I glad we did it! Kind of - it gave me the inspiration for this fun piece of writing. I should perhaps add that Kennedy Space Center has quite a bit to see other than the Saturn V rocket but after finally getting to the rocket and spending enough time staring at it to justify the 76 minute line we had neither the time, the energy nor the patience to join yet another queue. All I can say is if you do decide to go to the Kennedy Space Center at Cape Canaveral in Florida - GOOD LUCK! The Saturn V rocket. It was difficult to get a full size photo because I couldn't stand back far enough inside the building. 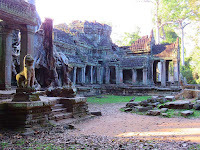 Have you ever been to somewhere on your travels which proved to be very disappointing? Thank you for taking the time to read my blog. If you enjoyed this post or found it useful please consider sharing it on social media. I always appreciate the compliment. If you would like to follow our travels, enter your email address in the 'Never miss a post: Follow by email' box in the right hand sidebar just below my profile picture. Haha - don't feel bad. In the end it was worth it because I enjoyed writing the post so much. Did I mention I have a heart condition - lol! Kennedy Space Center is a major attraction and I suppose they charge what the market will bear. Aw such a shame you're second visit wasn't as enjoyable as the first! We visited back in 2013 and I don't at all remember long lines! We were in and out in a few hours and were able to enjoy everything at a leisurely pace! We often visit our favorite places over and over again as we usually feel it's a great way to get to know a place better! Thanks for linking up with #TheWeeklyPostcard! Maybe we just got unlucky - but somehow I doubt it. Attractions don't have such long queuing systems unless they think they are going to need them. What I think possibly happened here is that you went during spring break. March is not an overwhemingly busy travel time in the U.S. except that several areas of the country have spring break during that time. I think that is right. We may have been there during Spring Break but it really doesn't change the fact that the experience was awful and it should not have been. I do get fed up with attractions where you pay a lot and don't get the kind of experience their advertising promises and you have paid for. I agree with the previous comment - its a great read. Shame it came at the expense of such a headache for you, Lyn. I could feel your frustration every step of the way. It's one of my biggest peeves when an amazing experience or an attraction is turned into a nightmare by poorly managed logistics. I would’ve expected more from NASA. Thank you for discovering all the tricks of the trade and for such an entertaining read. I am glad you enjoyed the post. In the end my main purpose in writing it was to entertain. I suspect that NASA has licensed a 3rd party to manage the attraction. It doesn't excuse them though. They must take some responsibility for how poor the experience is. Oh no - that doesn't sound like a fun day at all. I also balked at the price. That is really expensive! It might be worth it if you are really interested in space/rockets though. Thanks for warning your readers, and giving tips to make their trip better! We would not have minded the price so much if it had been a good experience. For what we got it was almost highway robbery. Hi Lyn. Sorry to hear of you're experience at the Kennedy Space Center. I was going to visit it a number of years ago but the timing did not work out. It sounds like I was lucky. If I do get there in the future, I will take your advice to avoid the 4 mistakes. I'll buy tickets on-line, buy the "fast pass", bring my own lunch, and remember to sit on the right side of the bus. For now, I'll be content with what I've seen in documentaries and on those launch days so many years ago. They still launch rockets from the space center - which I assume take up satellites. I hate to think what the crowds are like on launch days. I am glad you enjoyed the post. I enjoyed writing it. It was the only good thing about the whole experience. Hahaha, oh my. After that day you needed a stiff drink or two, I'm sure!! We our did give bottle of wine with dinner a good shake - I admit. A nightmare - worse than an amusement park. And I agree, I always hesitate on returning somewhere, especially if I found it to be a great visit or a magical place. 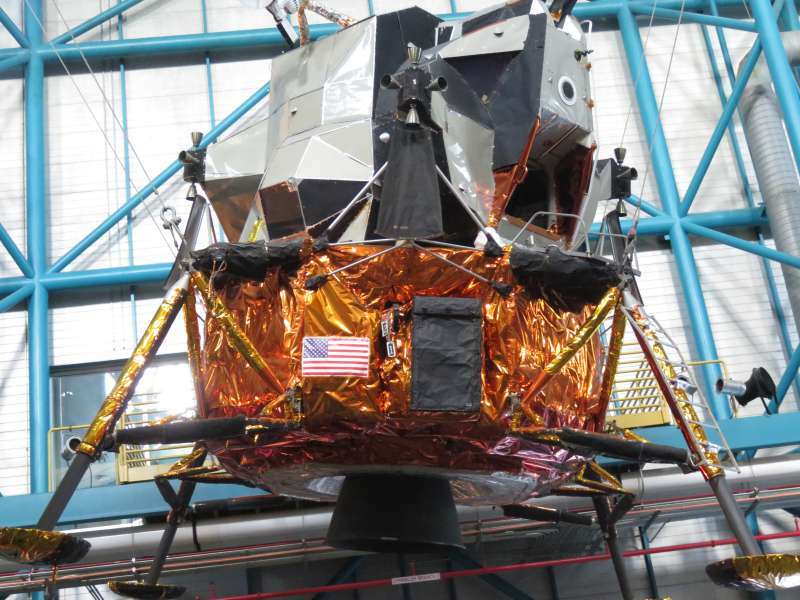 I've not been to Kennedy Space Center but I was at the Huntsville Space Center in Alabama with absolutely no problem. I guess it's much less well known and less touristy. Thanks for the heads up - I won't be visiting Kennedy! I will have to look up Huntsville. We have never been to Alabama so maybe I should put it on the list. Thank you so much for this post! My brother in law has been going back and forth trying to decide if they should add this in to their Disney trip, but with a nephew with severe ADD and my older in-laws, this sounds like something that they should skip as I don't think it would be worth it for them. I don't envy you going to Disney with an ADD child. The lines at Disney can be frightening. Do your research and try not to go when it is peak season. It could have been worse. At least I got the inspiration for a blog post from it. Brilliant read Lyn, thanks for having a shocker of a day for our enjoyment. OMG, this sounds miserable. I am so not going. But then, I did visit it way back in time and have no memory of lines. Your story reminds me of the misery of waiting in line for a cable car in San Francisco, only there street people provide free entertainment. When we went the first time 20 years ago it was fine. I think it has become much more commercialised in the intervening years. Oh dear. That sounds awful. 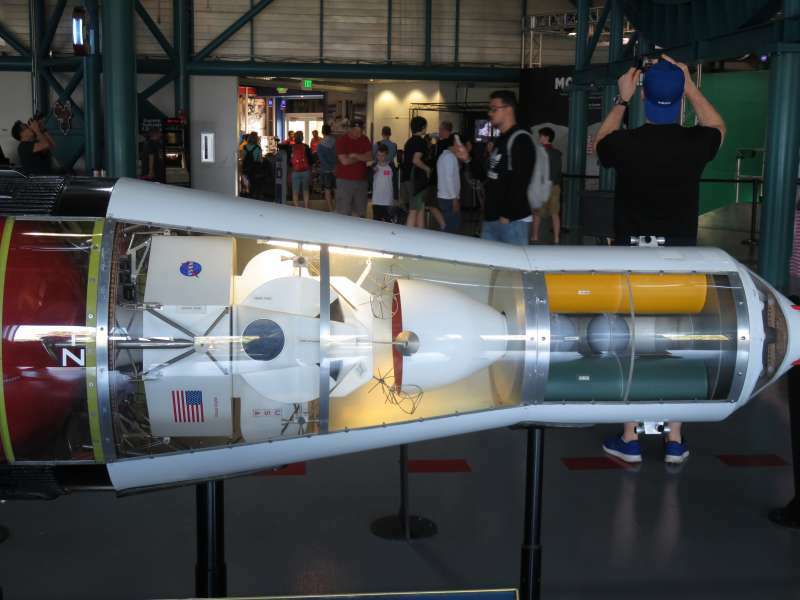 My family visited Kennedy Space Center a few days before you did (March 10) since we were disembarking from a cruise at Port Canaveral and had several hours to fill before our late afternoon flight out of Orlando. We only had about 3 hours to spend there -- granted paying a lot of money for just a few hours -- but our experience was much better than yours. Because we had no interest in special tours, we used the self-serve kiosk without any wait. The security line also had no wait. Because our main interests were the bus tour and the Space Shuttle, we skipped the Rocket Garden. We got into the bus tour queue at about 10:20 and had boarded within 15 minutes. Luckily, there are 5 in the family, so we sat on both sides of the bus to make sure that at least someone would have a good view. Our driver had a lot to say and didn't drive very fast, so the tour was probably about 45 minutes. Because we wanted to have time for the Atlantis Space Shuttle, we blasted through the Saturn V exhibit in about 15 minutes and boarded the next bus for the return trip. We had thought about eating there, but the first few places we saw had lines. 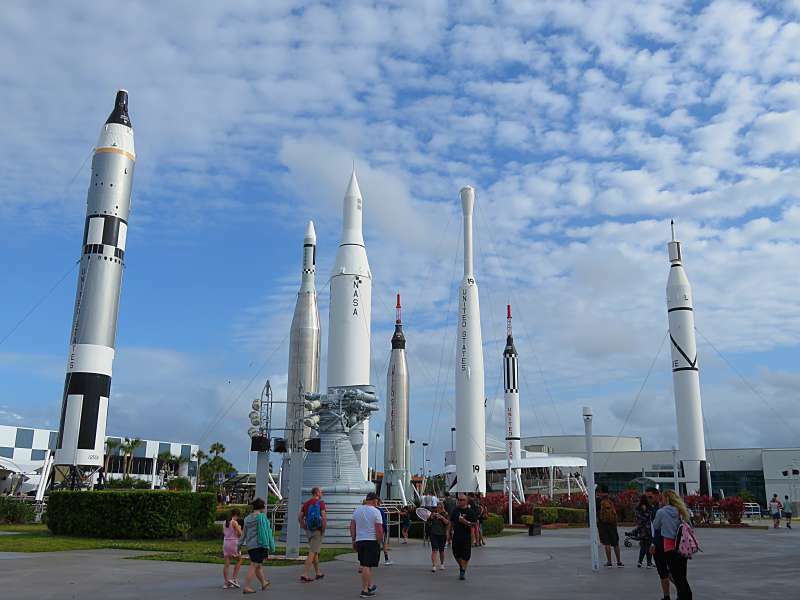 My advice to anyone visiting Kennedy Space Center is similar to Disney touring advice -- arrive early, skip the stuff near the entrance and hurry to the ones that you have to queue for before the crowds reach it. I am glad you had a much better experience. Sadly, the existence of the extreme queuing systems with roped off lining up areas snaking around and around suggest that our experience was relatively common. Thx so much for the tips! I have no intention of returning to the Kennedy Soace ( we were probably there about the same time as you!) but it's good to know the ropes so as to be able to pass them on. We were in the area anyway and thought it would be an interesting day out. What a mistake! Moral of the story: Always check to see if you can buy tickets online (as in, on a website, not in a line (queue) if you really want to visit somewhere. I'm finally starting to wise up. The downside is that if you actually did have a stroke or heart attack, you'll probably have to eat the cost of the online ticket. Haha - that would have been the least of my worries. Your headline intrigued me to read the post and even though it wasn't funny while you were experiencing it, you gave me a chuckle and also offered some good advice re: booking ahead online. It's refreshing to read something that's not totally positive and gives an honest review. I have to confess I enjoyed writing the story. It was almost worth the aggravation in experiencing the visit. I am ultra conscious of your heart condition but we went 6 years ago and had fun! The difference? Booking online. That is the system for going around the queues! I absolutely take your point and that is what we should have done. 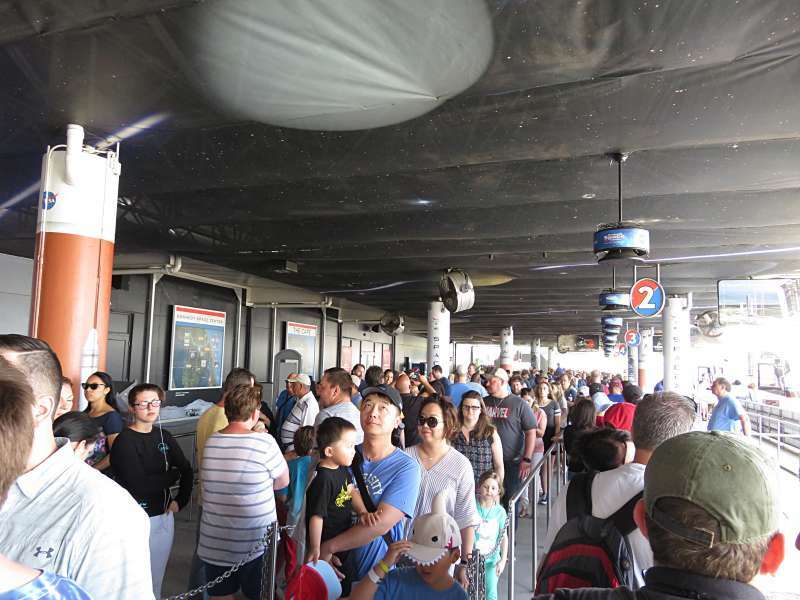 However if we had just booked general admission tickets online we would still have had to endure the 76 minute line to say nothing of the lunch queue. I have to agree with the others above, this was a great read (sorry for your horrible experience, I was planning on going there shortly on my trip to America, so if I still do I'll have to plan a lot in advance!). Good luck. I hope you have a better experience than we did. 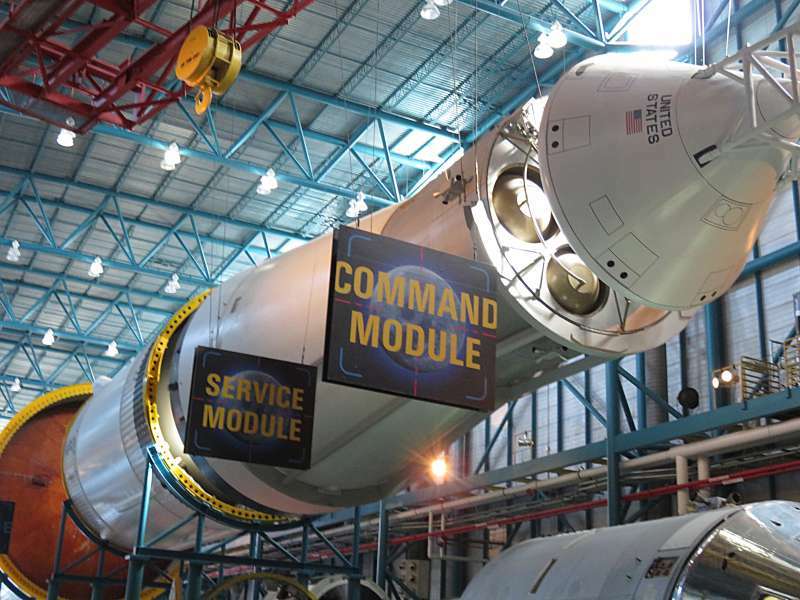 I would definitely recommend booking in advance and taking one of the add-on tours where you get to the Saturn V without having to queue. David read somewhere that you need your passport for the add-on tours if you are not a US citizen. It is probably worth checking that out too. Lyn: I have to agree with you. I am a native Floridian. I live about 35 miles north of the Cape and there is absolutely no way you could convince me to take a tour of the facility. The price is outrageous. I can actually see the rockets from my home when they are launched. Of course it's not up close and personal, but I don't have to pay a fortune to view them. There's definitely more to Florida than theme parks and commercialized attractions. We've got some great State Parks, hiking and biking trails. Sorry about your experience. Thank you for your comment. 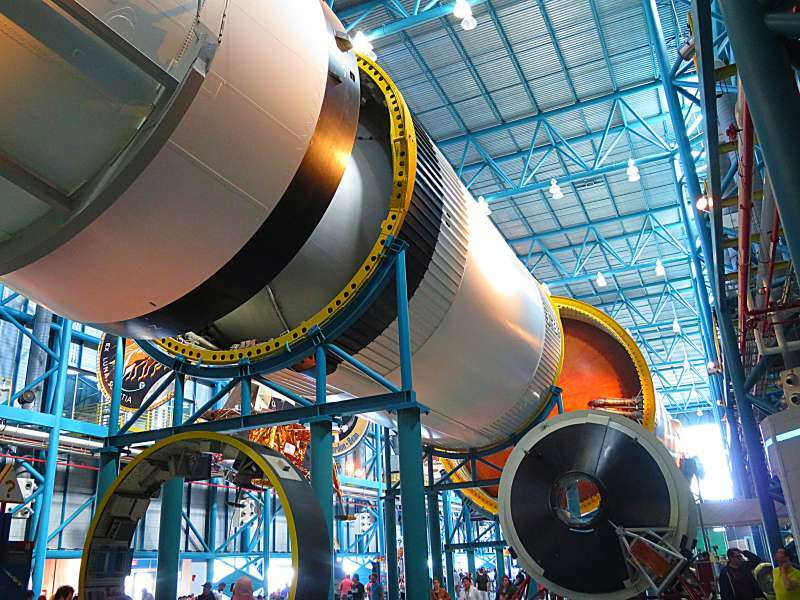 Kennedy Space Center was our only disappointing experience in your beautiful state. We started in Miami, spent a couple of days in Key West and then drove up the coast stopping at a few places along the way until we crossed into Georgia. We bought cheap bicycles at Walmart and so were able to take advantage of some of the great biking trails you mention. I would recommend Florida to anyone - just stay away from the Space Center or at least plan your day better than we did. On one hand, it's great that a science-based attraction is crowded! But not so great when you're part of the crowd. We've had similar experiences, where crowd size and queues were drastically different than earlier visits, but sometimes in our favor. I think you're right - all about planning ahead. Which is good to know, because we have yet to visit Kennedy! Thanks for the heads up & for sharing on #TheWeeklyPostcard. I hope you enjoy it more than we did when you go. Try to arrive early and head straight to the bus queue. You hit the nail on the head at every turn of your article...it's a busy attraction. My suggestion? 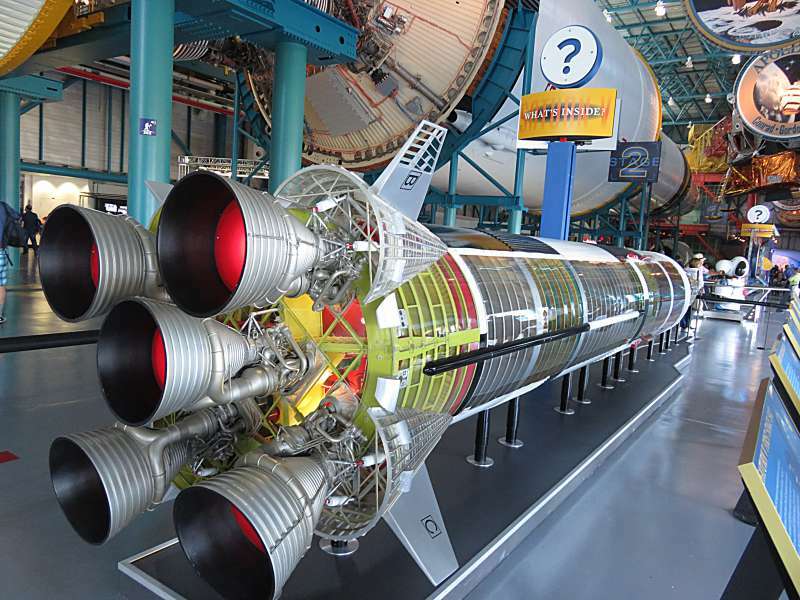 If your're in Alabama, visit the U.S. Space & Rocket Center in Huntsville. Perhaps not as impressive as "Houston," but just as educational and they have a great collection of artifacts! Someone else also mentioned Huntsville, either here or on social media somewhere. It sounds like it is worth a visit. Lyn not only do I appreciate your honesty in this article but also how one might try to minimise the issues. Dave would love to go here I'm sure, me not quite as keen. After your review i think I shall try to keep it lower on the list or perhaps completely off. You could try going in low season, buy your tickets online and arrive as early as possible. I can understand why Dave is interested. The Saturn V rocket is awesome. It wasn't a lot of fun but apart from that we enjoyed our trip to the U.S. David is busy planning another trip for next year.